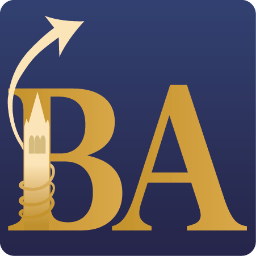 Beyond Academia is a two-day career exploration conference for PhDs and postdocs considering paths outside the tenure track. We bring together 100 professionals and over 300 students to share career path experiences through workshops, panels, and networking events. Bio: Currently, I work as a Science Curriculum Designer at IXL Learning, where I develop engaging, rigorous K-12 science content that sparks students' curiosity and promotes scientific thinking. I started my academic life with a BS in Molecular Genetics, followed by a MS in Molecular Biology. Then, I took a two-year break to volunteer with the US Peace Corps and taught biology to middle and high school students in Cameroon (Central Africa). After returning to the US, I earned a PhD in Ecology and Evolution from the University of Rochester in Upstate NY. My thesis work investigated the ecological and genetic consequences of polyploidy in flowering plants: a topic central to plant evolution that impacts biodiversity, biogeography and invasion biology. After a two year postdoc at the University of Guelph in Ontario, Canada, I served as a visiting assistant professor in the Biology Department at Colgate University. There, I developed and taught classes and on Ecology, Evolution, and Parasitology. After spending much of my adult life striving towards a tenure-track faculty position, I then decided to turn down an offer and move to San Francisco. My career goals now center around improving science literacy among K-12 students, and trying to make science fun and engaging for as many young learners as possible. 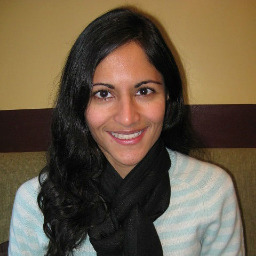 Bio: Adriana Valencia completed her Ph.D. in architecture from UC Berkeley in 2011. Prior, she had done an MA in Near Eastern Studies, also at Cal. Upon graduating, faced with dismal (read: no) academic job prospects and a desire to stay in the Bay Area, she used her background in languages to join the localization team at Twitter. Since 2014 she's been working on the non-English-language versions of Lumosity, a popular brain training program. She still likes looking at buildings and thinking about cities. Bio: Aidin is a scientist in the Electrical Engineering and Computer Science practice at Exponent, a scientific and engineering consulting company. Since joining Exponent, Aidin has worked with clients ranging from law firms to start-ups to international tech companies. He received a B.A. in applied mathematics and physics from UC Berkeley and his M.A. and Ph.D. in physics from UC Berkeley. His doctoral research was focused on investigating the synthesis, characterization, and application of carbon and boron nitride-based nanotubes and nanosheets. Aidin attended several Beyond Academia events as a graduate student and is excited to return as a presenter. 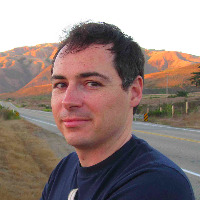 Bio: Alex Zafiroglu is a Principal Engineer in the Internet of Things Business Group at Intel Corporation. Her research directs innovation and strategic decisions for multiple teams across Intel working on platforms and technologies related to domestic computing, by understanding user contexts, practices, values, desires and needs. Alex defines transformational experiences in domestic spaces including homes and private passenger cars, and across device categories from desktop computers to gateways to set top boxes and Internet of Things platforms and devices. She's road-tripped in an RV for a week to understand the challenges of mobile domesticity, lugged around a shower curtain and stepstool to unpack the contents of cars from Wuhan to Sao Paulo to Frankfurt to Penang, watched people watch TV in 15 countries, and explored laundry rooms in Swedish apartment buildings and Indonesian student housing. She excels at making sense of the mundane, everyday rhythms of domestic life, and identifying areas for innovation in nascent markets. She completed a Ph.D. and M.A. in Cultural Anthropology at Brown University, and a BA in Anthropology & History at the University of Delaware. Bio: Allan Federman has over 14 years’ experience in campus utility distribution systems. He is currently serving as the Lead Engineer and Energy Manager for the Veterans Affairs Sierra Pacific Network, Veterans Integrated Service Network (VISN 21) based in San Francisco, CA. As VISN Lead Engineer, Allan is responsible for the programmatic oversight and management of VISN-wide Capital Non Recurring Maintenance (NRM), Energy Management, Fleet Operations and Healthcare Engineering Programs. These programs result in the quality of life, protection and resiliency of mission critical infrastructure and operations throughout the Network. Allan delivers patient services to over 4 million Veteran patients and their families, staff and visitors across seven geographically distributed Health Care Systems comprising over 300 buildings and 7.3 million gross square feet in. He holds a Bachelor of Science degree in Electrical Engineering from Florida Atlantic University. 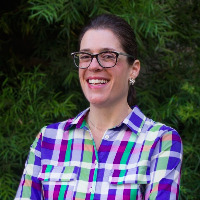 Bio: Amber Mace, PhD is Deputy Director of the California Council on Science and Technology (CCST) and is a Policy Fellow with the UC Davis Policy Institute. Mace devotes her time to building new and revitalizing existing programs and organizations that are dedicated to increasing the impact and value of science-informed decision-making. Prior to this, Mace served as the Associate Director of the UC Davis Policy Institute. She also served as the executive director of the California Ocean Protection Council (OPC) and assistant secretary for coastal matters at the California Natural Resources Agency (CNRA). In this role she applied her background in marine ecology and collaborative leadership skills to guide the state in developing policies that promote the sustainable use of California’s ocean ecosystem. Prior to that, she served in the dual roles of science advisor to the OPC and executive director of the California Ocean Science Trust, a non-profit that provides objective, high-quality science to decision makers. She learned firsthand about the challenges of public policy-making as a Knauss Fellow in the U.S. Senate Commerce, Science and Transportation Committee, and at the state level as a California Sea Grant state fellow at the CNRA. Amber was recognized as a Coastal Hero by Sunset magazine in 2011 and her California coastal research experience includes piloting a submersible with the Sustainable Seas Expedition. She earned a bachelor of arts in geography from UC Berkeley and a doctorate in ecology from UC Davis. Bio: Dr. Ania Urban is a supervising health scientist at Cardno ChemRisk. She received her MPH in Environmental Health Sciences from the University of Minnesota School of Public Health and her PhD in Toxicology from the University of Minnesota School of Public Health. Her background and training are in cancer formation and carcinogenesis. As a scientific consultant, her work has focused on weight-of-evidence analysis of various carcinogens including asbestos and talc. Bio: Dr. Anne Ferguson is currently Executive Director of Bay Area Older Adults, a 501(c)(3) charitable organization where she manages daily operations, long term strategy, fundraising, programs and volunteers. In the first part of her career, Anne was awarded two pre–doctoral and two post–doctoral fellowship grants for cancer research and published 15 peer–reviewed scientific articles within five years. She transitioned into the commercial sector where she has over ten years of strategic marketing and business development experience within global biotechnology and pharmaceutical companies such as Molecular Devices, MDS Sciex, Thermo Fisher Scientific, Affymetrix and XOMA. At these companies, she was responsible for closing multi-million dollar alliances and deals with commercial and non–profit entities, management of multi–disciplinary project teams and leading development and execution of business strategy and project plans. Dr. Ferguson received her Ph.D. from UC San Diego, pursued her American Cancer Society postdoctoral fellowship to identify new breast tumor markers at The Johns Hopkins School of Medicine, and completed her M.B.A. at San Jose State University. Bio: Annette Angus attended California State University, Northridge, earning her B.S. in Microbiology (2004) and then attended the University of California, Berkeley, earning her Ph.D. in Microbiology (2009). Her graduate work focused on the intracellular bacterial pathogenesis of Pseudomonas aeruginosa in epithelial cells and was funded funded by the National Science Foundation Graduate Research Fellowship Program. Annette then moved on to a postdoctoral position with a UC President's Postdoctoral Fellowship at UCLA where she studied the symbiosis between beneficial Burkholderia species and legumes. Her work was also awarded the prestigious Ford Foundation Postdoctoral Fellowship. After completing her postdoc, Annette started a career in industry at the Procter & Gamble Company as a Scientist in the Global Microbiology Capability Organization, based in Mason, OH. Ultimately, she decided to return to her home state and alma mater to pursue other career passions as the Academic Director of the California Alliance, a new statewide initiative to increase diversity in STEM education lead by UC Berkeley. After her time with the California Alliance ended (2016), Annette joined the Clorox Company as a Scientist in the Microbiology Group of the Advanced Measurement Sciences Department, based in Pleasanton, CA. In her current role, Annette supports the business by providing Microbiological guidance on new and existing product formulations as well as innovative method development to support new business ventures. Annette is a First-Generation American and the first in her family to earn college degrees. She is passionate about social justice, education reform, good food and travel to new places. She lives in San Francisco Bay Area with her husband, and travels to Southern California to visit family on a regular basis. 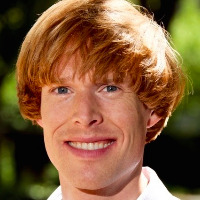 Bio: Arne Bakker is Assistant Dean of Career Education and Associate Director of Career Communities for PhDs & Postdocs at BEAM, Stanford Career Education. At BEAM, Arne helps Stanford PhD students and postdocs with their career and professional development through career coaching, community building, career education, and program development. He believes there is a wide variety of career options available to PhDs in academia as well as beyond, and he is passionate to help PhDs be successful in all their career choices. Arne did his PhD research in Tumor Immunology at the Netherlands Cancer Institute in Amsterdam. As a postdoc he worked at the Immunology & Pathogenesis division of UC Berkeley before transitioning into Career Education. Besides research, Arne was Director of the Discovery Festival in Amsterdam, co-organized Beyond Academia at UC Berkeley, and has worked as a consultant and visiting scholar for the UC Berkeley Visiting Scholar and Postdoc Affairs (VSPA) program. Bio: Asako Miyakawa is a CNS Drug Discovery Scientist at Circuit Therapeutics, Inc. She is investigating neuronal circuits in obesity to develop new ways of treating metabolic diseases. She received a PhD in Neuroscience in 2014 from UC Berkeley. In addition to neuroscience research, Asako is passionate about promoting science to the public via various forms of art. She served as the Art Director for the Berkeley Science Review magazine during her PhD, and spearheaded the mobile app development. Prior to Circuit Therapeutics, Asako worked as a PhD co-op in Genentech's Biomedical Imaging Department, and as as a neurophysiology lecturer at UC Berkeley. She has built a 20-ft long brain-shaped interactive jungle gym, and loves exploring San Francisco beaches with her dog. Bio: Barrett works with senior leadership teams to strengthen their global leadership capabilities, transform their culture, and overcome their organizational challenges. Barrett has developed and facilitated leadership development experiences for more than 325,000 leaders. Barrett joined Accenture after completing a Ph.D. focusing on transformational leadership at Cornell University. Bio: Bill Lindstaedt has been helping scientists and engineers make career decisions for over twenty years. Since 2014, he has served as the Executive Director of an umbrella unit known as Career Advancement, International & Postdoctoral Services (CAIPS). Prior to this, he was Director of the Office of Career and Professional Development at the University of California, San Francisco (UCSF). In addition to his leadership responsibilities, his career advising work focuses on helping pre-doctoral and post-doctoral research scientists with their career and professional development challenges. He has developed particular expertise working with life and health scientists as they transition from academic positions to careers in biotech and other non-academic settings.Bill is a co-author of “myIDP”, a popular career development tool hosted by Science magazine’s careers site. 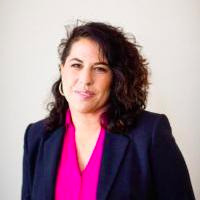 Bio: Dr. Camille Crittenden serves as Deputy Director of CITRIS and the Banatao Institute, and directs the CITRIS Connected Communities Initiative. Prior to coming to CITRIS in 2012, she was Executive Director of the Human Rights Center at Berkeley Law, where she helped to develop its program in human rights, technology, and new media. She has written and spoken widely on these topics, as well as technology applications for civic engagement, government transparency and accountability, and the digital divide. She held previous positions as Assistant Dean for Development with International and Area Studies at UC Berkeley and in development and public relations at University of California Press and San Francisco Opera. She earned an MA and Ph.D. from Duke University. Bio: Cammeron completed his PhD in Slavic Languages and Literatures with a Designated Emphasis in Folklore at Berkeley in May 2016. His work focused primarily on Balkan languages and cultures, and Cammeron used his background in linguistics, his experience doing research with human subjects, and his time spent involved in the digital humanities to pursue employment in the field of interaction design. In July 2017, Cammeron started in the Alameda office of 24/7 Customer, a Bay-Area headquartered customer experience company. He works as part of a team of designers building telephone support applications for various corporate clients — consulting with project managers, sketching potential application flows, writing prompts and grammars, and working to optimize the user experience and effectiveness of existing applications. Cammeron nonetheless continues to follow developments in Slavic studies, and he maintains a consulting position with his former advisor's online dialect database project and an active engagement with the Bulgarian Studies Association. As a previous attendee of Beyond Academia, he is happy to return with this new perspective. Bio: Carlton Evans is the Co-Founder and Director of The Disposable Film Festival, currently in its 9th season, which celebrates achievements in new media filmmaking internationally. As an independent film producer, Carlton has screened his work at top festivals worldwide, including Sundance, Tribeca, and Rotterdam. Carlton's feature documentary work includes CONNECTED (Sundance 2011), DEATH METAL ANGOLA, and ALL EYES AND EARS (Tribeca 2015). He also worked on the narrative feature THE WOODS (Sundance 2011) and is currently producing Joseph Talbot’s THE LAST BLACK MAN IN SAN FRANCISCO, to be completed in 2017. Carlton produced the shorts AMERICAN PARADISE (Sundance 2017), YELP (Sundance 2011), and THE TRIBE (Sundance 2006) and executive produced CHINA IN THREE WORDS (Palm Springs 2013). Carlton was awarded two Kenneth Rainin Foundation grants for TERROR TUESDAY, a narrative feature written and directed by Matthew Lessner, currently in development. Carlton holds a Ph.D. in Art History and Film Theory from Stanford University. Bio: Catherine Cronquist Browning received her Ph.D. in English from the University of California, Berkeley in 2013, specializing in Victorian literature and the history of childhood. 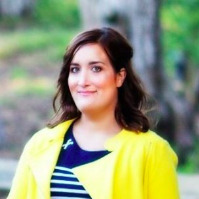 After teaching for two years as a lecturer, she joined the staff of Berkeley’s School of Information as Instructional Planning Coordinator in June 2015, and was promoted to Associate Director of Student Affairs in March 2016. Catherine’s duties include student advising, curriculum planning, program operations and analysis, teaching assistant hiring, fellowship disbursement, liaising with student government, and promoting a safe, welcoming, and inclusive campus climate. She currently works with a student body of over four hundred graduate students in three interdisciplinary degree programs, including a traditional academic doctoral program, the Ph.D. in Information; an on-campus professional master’s program, the Master’s in Information Management and Systems (MIMS); and an online professional master’s program, the Master’s in Information and Data Science (MIDS). Having been in three distinct roles at UC Berkeley -- graduate student, non-tenure-track faculty member, and staff member -- Catherine has a unique perspective on both graduate education and careers in and adjacent to academia. 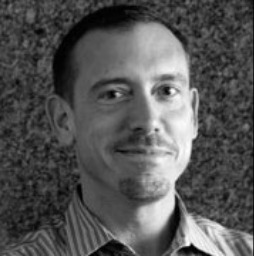 Bio: Chad has spent the last decade working at the intersection of science, policy, and communications. 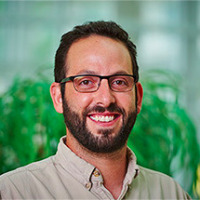 Prior to joining the Foundation, he was the Director of Science Policy Outreach at a nonprofit that coaches and connects scientists to more effectively share their knowledge and insights with decision-makers. Chad directed COMPASS’ work to bring scientists and policymakers together in collaborations that drove new thinking and approaches to natural resource policy and management. Trained as a scientist, Chad received his Ph.D. from Scripps Institution of Oceanography, studying how the coastal ocean responds to winds. He moved to Washington, DC to serve in a John A. Knauss Marine Policy Fellowship in the Senate Committee on Commerce, Science and Transportation. Following his fellowship, Chad worked for the House Committee on Science on oceans, natural resource management, and other science and technology policy issues. At the beginning of his career, Chad worked at the U.S. Geological Survey on operational models of the San Francisco Bay to aid navigation, commerce, and recreation. Research Scientist, Uber Technologies, Inc.
Bio: After receiving her PhD in Social Psychology from Northwestern University, Priya Kamat joined the Uber Labs team as a research scientist. In this role, she advises teams around the world on how to solve Uber’s business challenges via experimentation and research. In addition to global operations, she collaborates on R&D projects across product, marketing, engineering, business development, people, and finance. An early member of the team, Priya has helped to develop processes, resources, and analytical tools to enable sound experiment design and statistical analyses across the company. 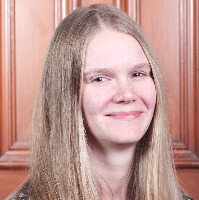 Bio: Charlotte Cowden is Director of External Programming at UC Berkeley's Institute of Governmental Studies. There, she pursues opportunities to strengthen the Institute's relationship with external partners, including fundraising and other development activities, conferences and events, and student award programs. Charlotte previously served as Associate Director of Global and Executive Programs at the Goldman School of Public Policy. Prior to that, she was the Assistant Director for Strategic Planning at the Institute for East Asian Studies, where she also served as Assistant to the Senior Faculty China Adviser to the Chancellor and EVCP. She earned a Ph.D. in Chinese History from UC Berkeley and also holds an MA in Asian Studies from Cal. Bio: Chris Holdgraf is a graduate student in Bob Knight’s cognitive neuroscience laboratory. He uses computational modeling and machine learning to study the ways in which our internal assumptions affect the way that we perceive and understanding the world around us. He’d like to think that brains are more similar to computers than we’d all like to imagine, and hopes to discover ways in which we can improve our knowledge of the brain by drawing inspiration from machine learning and computational methods (and vice versa!). He is also an avid science writer, blogging, editing, and managing for the Berkeley Science Review, a student-led publication and blog that covers science at Berkeley and Beyond. He believes that scientists should be skilled communicators as well as researchers, and has a particular love of making complex ideas understandable to everyday people. 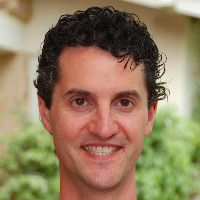 Bio: Chris Kark is director of humanities communications at Stanford University. A scholar of early modern Literatures of empire, he graduated from Stanford University with a Ph.D. in Iberian and Latin American Cultures (ILAC). Chris earned concurrent B.A.s in Spanish and Political Science and an M.A. in Spanish from Arizona State University. At Stanford, his research centered on the nexus between prophecy and historiography at the zenith of Spain and Portugal’s seaborne empires. 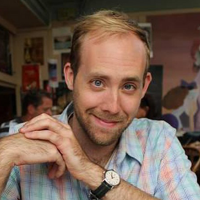 He now serves as editor of the Stanford Humanities Review and prepares news stories for the i. 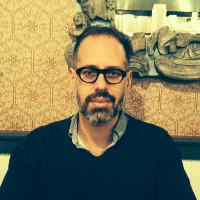 Many of Chris’s writings feature in Ellipsis, Forma de vida, Latin American Theater Review, Nuevo texto critíco, Revista canadiense de estudios hispánicos, and Revista de estudios hispánicos. While publishing in scholarly journals, he also sought out venues to distil humanities research into crisp, yet vibrant prose that resonates with public interests. One such venue was Shmoop, an educational technology startup, where he authored much of the content that appears in its AP Spanish Language and AP Spanish Literature curricula. Before returning to Stanford, he wrote extensively about online safety for the Trust & Safety and Public Policy departments at Twitter, a sampling of which appears on Quora, Vodafone UK, and Twitter’s Safety Center. He is also a founding member of the Twitter NeighborNest, a company-sponsored community service center, where he spearheaded its digital citizenship education program. 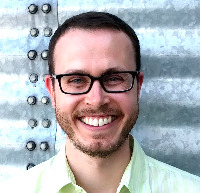 More recently, Chris has weighed into the conversation about paving alternative career paths for humanities Ph.D.s, serving as a panelist at conferences organized by the Stanford Career Development Center (BEAM) and the Modern Language Association. 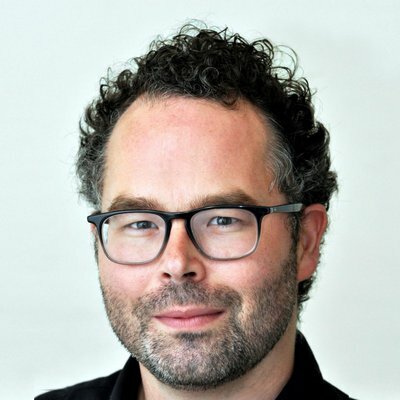 Lead Materials Scientist, Magic Leap, Inc.
Bio: Christophe Peroz is a Lead Materials Scientist at Magic Leap since 2015. He has more than 15 years of experience involving nanofabrication, photonics, microfluidics and materials science, and his works were regularly highlighted in the news. 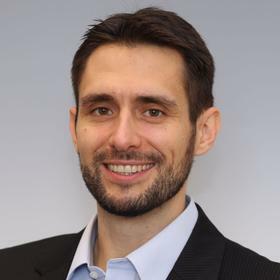 Christophe has a broad interdisciplinary and inter-cultural experience and has worked in academic (CNRS, CEA, LBNL), industrial(Saint Gobain, aBeam Tech, Magic Leap) and governmental (Embassy of France) institutions. 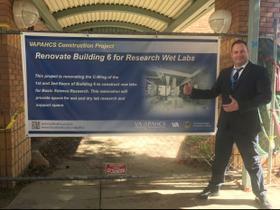 He has been recipient of several STTR/SBIR grants from DOE, DoD and NSF. Christophe obtained his PhD in Applied Physics at The University Joseph Fourier (Grenoble-France) in 2003 where he studied superconductivity into thin films. His personal interests include philosophy, opera, food, travel, and hiking especially in the beautiful Northern California. 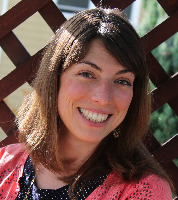 Bio: Christy K. Sheehy received both her BS and MS degrees in Optics from the University of Rochester in Rochester, NY and most recently her PhD in Vision Science from the University of California, Berkeley in December of 2015. Her interests lie in the fields of high-resolution retinal imaging, optical engineering, and retinal eye-tracking. As a postdoctoral scholar now in the Green lab, she plans to study how fixational eye movements in patients with neurodegenerative disease differs from those in normal healthy control subjects. She is passionate about finding ways to use non-invasive retinal imaging technologies as early-stage screening tools for patients of neurodegenerative disease. Additionally, Christy is the Co-founder of a start-up, C. Light Technologies, whose mission is to commercialize the eye-tracking technology she designed and built for her PhD (the TSLO) to use as a future neuro-diagnostic. When she’s not doing research or start-up activities, Christy loves to salsa dance, paddleboard, go camping, and explore new cooking recipes. Bio: Claire Oldfield is a management consultant at Bain and Company in San Francisco, focusing on clients in the tech and biotech industries. She received her Ph.D. in neuroscience from UC Berkeley last summer. For her thesis'research she studied how experience changes neural activity and connectivity in the nervous system, and became an expert in zebrafish brains, microscopy, and image analysis. While in graduate school she was part of the Beyond Academia conference founding team and is now an adviser to the group. Prior to graduate school, Claire studied at the Ecole Normale Superieure in Paris where she completed her Masters in neurobiology. Outside of work she enjoys traveling far and wide, hiking, and eating figs! Bio: Claudia von Vacano is the Executive Director of the D-Lab and the Digital Humanities at Berkeley and is on the board of the Social Science Matrix. She has worked in policy and educational administration for 17 years, and at the UC Office of the President and Berkeley for the last 10 years. While working at various educational institutions, she managed multi-million dollar budgets and successfully implemented large-scale projects. She received a Master’s degree from Stanford University in Learning, Design, and Technology. Her PhD. is in Policy, Organizations, Measurement, and Evaluation from UC Berkeley. Her expertise is in organizational theory and behavior and in educational and language policy implementation. The Phi Beta Kappa Society, the Andrew W. Mellon Foundation, the Rockefeller Brothers Foundation, and the Thomas J. Watson Foundation, among others, have recognized her scholarly work and service contributions. Bio: Scheitz is a Principal Research Scientist in the Bio/Nano Research group at Autodesk where she focuses on building the next generation of design tools for synthetic biology. Conny’s recent work has been at the interface of the biological sciences and technology. 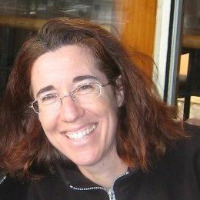 Prior to joining Autodesk, Conny was one of the first hires at Transcriptic where she helped build the laboratory automation and compute infrastructure for the “Amazon Web Services of molecular biology”. Before moving to industry, Conny’s academic contributions were in the areas of molecular biology, cancer genetics, and stem cell biology. Outside work, Conny’s countless “side projects” have included design tools for 3D printed jewelry, educational smartphone apps, and two semesters as Genetics instructor for a prison education program. Conny joined Autodesk Research in 2016 to work on the Genetic Constructor open source, cloud CAD software. Her role blends equal parts of biology, software development, and product management as part of the Bio/Nano Research group’s goal of pushing the limits of integration between software technology and basic sciences. Conny holds a Ph.D. in Genetics and Biochemistry from Cornell University, an MSc in Human Molecular Genetics from Imperial College London (UK) and a BSc in Biochemistry and Cell Biology from Jacobs University Bremen (Germany). Her academic work has been published in Nature, JCB, PLOS One and EMBO. Bio: Dana Linda received her Ph.D. in Comparative Literature at UCLA and holds a B.A. from UC Santa Cruz. Alongside her academic research and teaching, Dana has pursued a parallel career in student affairs across the University of California and currently serves as a board member for the Oakland nonprofit, Justice Now. 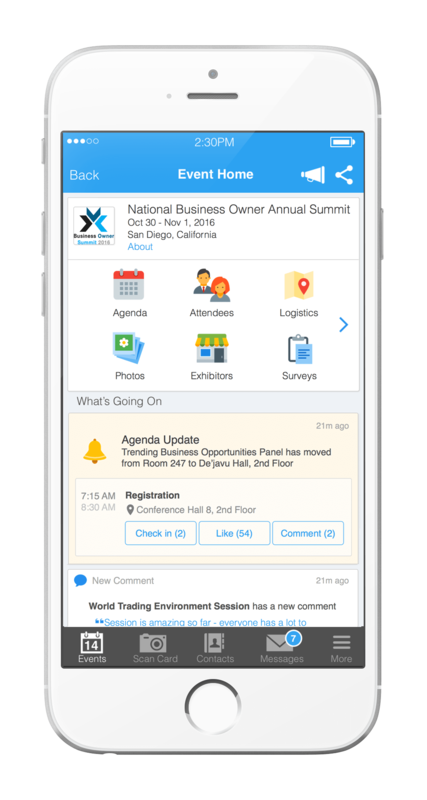 Attendees please download Whova event app, to access the information of all 116 speakers.